The RAM-B-101-G4 consists of a double socket arm, 2.5"" diameter round base with the universal AMPS hole pattern and round adapter base that attaches directly to the back of the Garmin echo™. Designed into the mount is a 1"" diameter patented rubber ball and socket system with adjustment points at both socket ends of the arm; this with RAM's rubber ball and socket technology allows for almost infinite adjustment and perfect viewing angles. 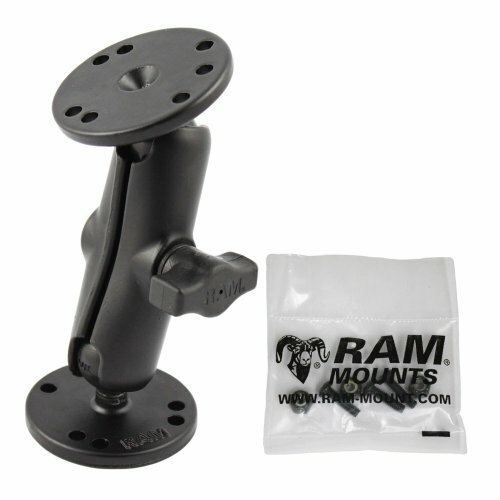 Included is hardware that is used to attach the Garmin echo™ to the RAM Mount.